Any time a team goes through a major shift in philosophy, it has the potential to unseat players who were selected with the previous scheme in mind. 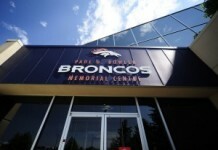 Much maligned a season ago, when poor play and injuries took their toll, John Elway and company took to the draft and free-agency to overhaul the offensive line. 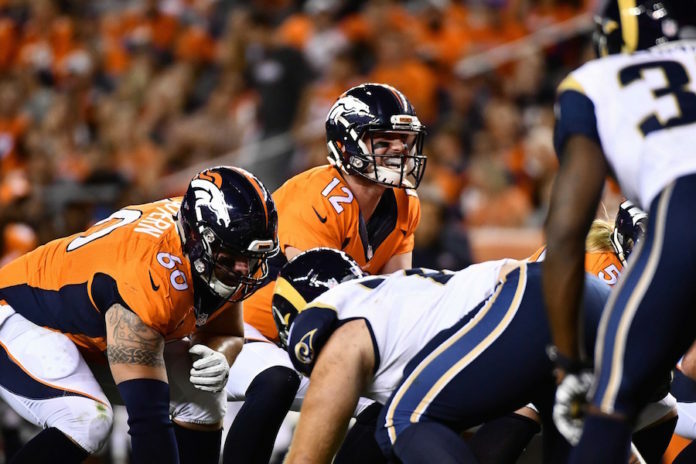 Along with replacing since-departed Clancy Barone with respected offensive line coach Jeff Davidson, and moving away from the zone-blocking scheme favored by Gary Kubiak, Denver figures to enter this season with as many as three new starters up front. Even with the infusion of new blood, there are holdovers from the previous regime that will need to assimilate in Denver’s new scheme. Going into training camp, each of these players will need to shake off the disappointment of last season and do their best to fit in to the team’s plans for this year. In our continuing look at the roster, here are three offensive lineman who have a lot to prove if they want to continue their time with the Broncos in 2017 and beyond. The former Colorado State grad has had a rapid fall from grace since he was drafted in 2015. Once considered the left tackle of the future, injuries and position changes have pulled his stock down to the point where his place on this year’s team could be in question. 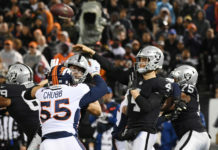 With his poor game against Justin Houston and the Kansas City Chiefs at home still fresh in the minds of many, Sambrailo may not be long for the Broncos this year. Moving away from the zone-blocking scheme upfront, that called for its lineman to be of the lighter and more athletic variety, seemed to be a perfect marriage for Sambrailo to flourish in. Now, with the move to a one-block, power scheme under Vance Joseph, the lineman’s place on the roster is in peril. While Sambrailo has put on muscle this season to help combat perceived strength deficiencies, it may be too little too late, especially if he struggles again holding up at the point of attack during the preseason. The Stephenson experiment at right tackle was a train wreck for much of last year. Outside of his first two games before an injury sidelined him, Stephenson was the lowest graded tackle as rated by Pro Football Focus for 2016. Even after taking a pay cut in the offseason, it still may not be enough to make the team, with the emphasis the organization has put on more physical line play as seen with the drafting of tackle Garett Bolles. The lineman does have the benefit of being versatile, having played both right and left tackle at different parts of his career and can also kick inside to guard in a pinch. Stephenson’s main competition will come from another versatile lineman in Michael Schofield. Whichever of the two can hold up better physically during the course of camp will be a key deciding factor in who will make the team. As of right now, Stephenson will have to do more to beat out Schofield, who seems to be a better fit for what the Broncos want their lineman to play like up front. 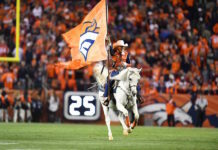 Cutting Stephenson will cost the Broncos $2 million in salary this year on top of the $2 million he was already paid towards this year and next ($1 million per) in the form of a signing bonus ($3 million total). It was puzzling that the guard from Missouri didn’t play a single snap during the 2016 season, even with as much turmoil the line faced much of the year. A fifth-round draft pick, McGovern spent all of last season with the main roster but was a game-day inactive for the entire year. Going into 2017, McGovern physically fits the part of the new-look Broncos offensive line, as he bench-pressed 225 pounds an impressive 33 times at the NFL Scouting Combine. The second-year lineman has been moved to center and could win a place on the team if he is able to blend in better with the new blocking game plan than what was the case last season. McGovern faces competition from someone like Dillon Day, who does have a slight nod when it comes to experience at the position (not to mention starting guards Max Garcia and Ron Leary, who have spent time at center as well). John Elway typically has been patient with the development of his draft picks, but if McGovern struggles again this year to pick up the system despite fitting the profile of what the Broncos are looking for, it could spell his release sooner than expected. Rosters will be decided in roughly six weeks. The team has done a great job in identifying a weakness from last season and doing everything in their power to try and correct it. While the five starters upfront look to be pretty much solidified, the battle for the backup spots behind them will be a major plot line once the preseason schedule opens. For all three players listed, it will give them the opportunity to prove themselves worthy of being a positive contributor for the upcoming campaign and beyond.